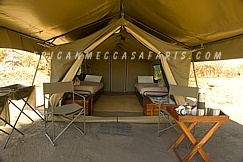 Saile Tented Camp offers spacious and comfortable tented accommodation, in six twin–bedded Meru-style tents and private en-suite bathrooms with flushing toilets and hot water filled bucket showers. 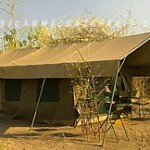 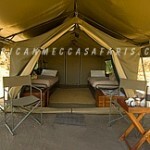 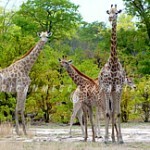 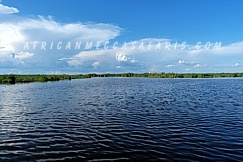 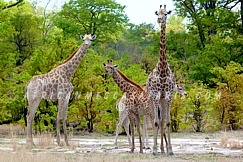 Located in a private reserve, Saile Tented Camp borders the western boundary of Chobe in Chobe Enclave. 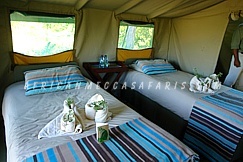 This is an intimate camp with four spacious Meru-style tents, each of which has en-suite bathroom facilities and bucket showers. 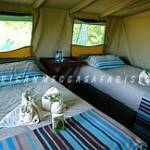 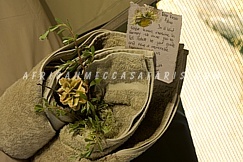 The camp is situated on the sands above the ancient river bed of the Linyanti, and features the charm of the old romance of Africa. 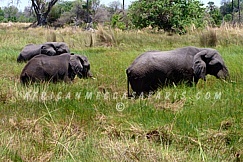 The area is home to large populations of elephant and buffalo that congregate in vast numbers, especially during the dry season. 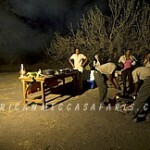 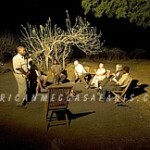 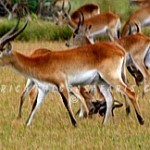 Lion, sable, roan, leopard, wild dog, and a number of the plains game are also common sights in this area. 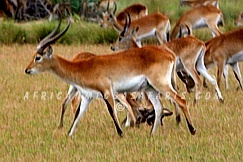 The rare and elusive sitatunga antelope, red lechwe, hippo and crocodile can be found in the surrounding marshes. 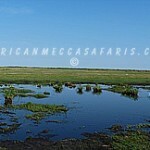 The Linyanti Swamps are one of the most attractive areas in the park as it is the only source of water in the dry months. 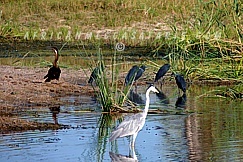 Much of the wildlife moves here to drink, ensuring a great diversity of game and a restful atmosphere. 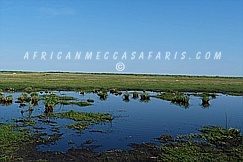 The area also offers spectacular birding all year round due to its location on the bank of a marsh and its proximity to the Linyanti River. 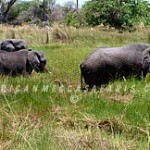 It is also best known for its enormous herds of elephants which move down to the Linyanti River at the start of the winter months and only move back inland once the main rains arrive. 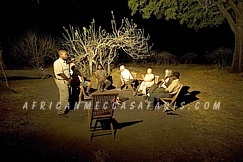 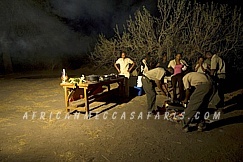 Activities consist of game drives in comfortable, specially-designed open safari vehicles – night drives are offered on the private concession. 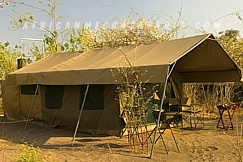 Guided walks are available with a highly experienced professional guide, and this safari camp provides the perfect atmosphere for an authentic and wild safari experience. 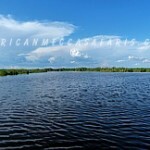 Water activities (subject to water levels) are also available and include fishing (light spinning equipment only). 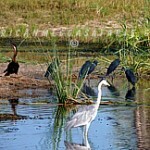 Spectacular birding all year round due to its proximity to the Linyanti River.